As a task order under DAVENPORT’s on-call services contract with the City of Greensboro, the City hired DAVENPORT to provide transportation design services for Phase 1C of the Downtown Greenway. 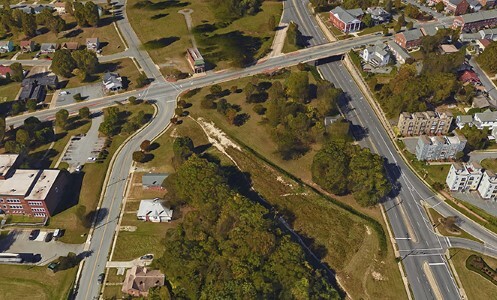 The design includes the area between Martin Luther King Jr. Drive / East Bragg Street, and East Gate City Boulevard in Greensboro. Designs are in accordance with the City of Greensboro greenway and trail standards as well as other national design standards for off-road trails and greenway facilities as defined by AASHTO, ADA and MUTCD.